Stephen Downes works with the Digital Technologies Research Centre at the National Research Council of Canada specializing in new instructional media and personal learning technology. He is one of the originators of the first Massive Open Online Course, has published frequently about online and networked learning, has authored learning management and content syndication software, and is the author of the widely read e-learning newsletter OLDaily. 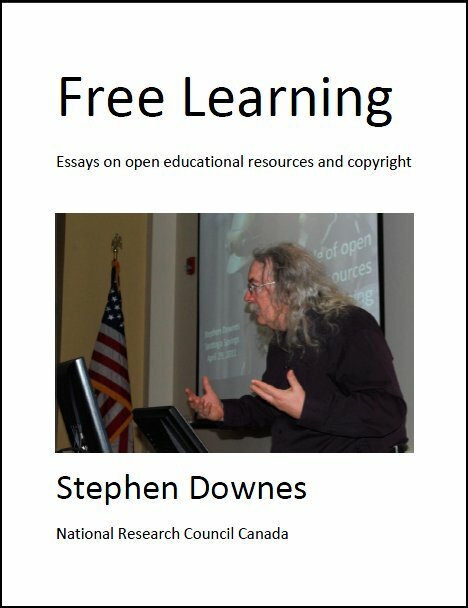 Through a thirty year career Downes has contributed pioneering work in the fields of online learning games, learning objects and metadata, podcasting, open educational resources. Today he is developing gRSShopper, a personal learning environment, offering a course on new e-learning technologies, and supporting research and development in the use of distributed ledger technology in learning applications. He is a popular keynote speaker and has spoken in three dozen countries on six continents. Thanks to Reclaim Hosting for their generous donation to support this site. Last Updated: Apr 21, 2019 4:30 p.m.